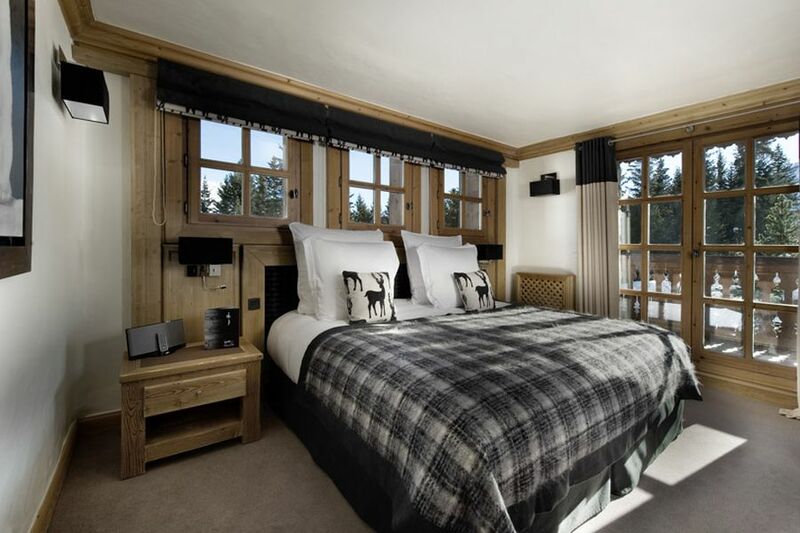 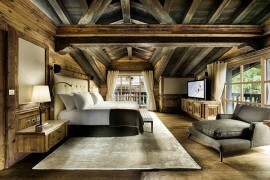 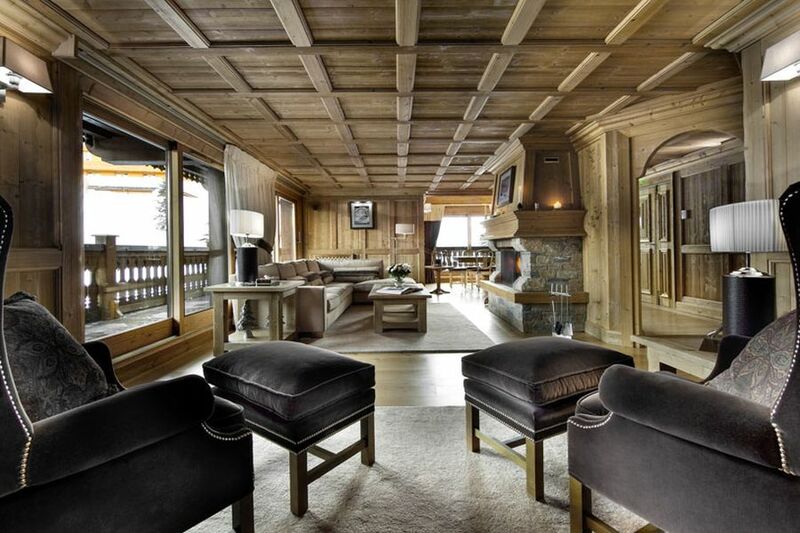 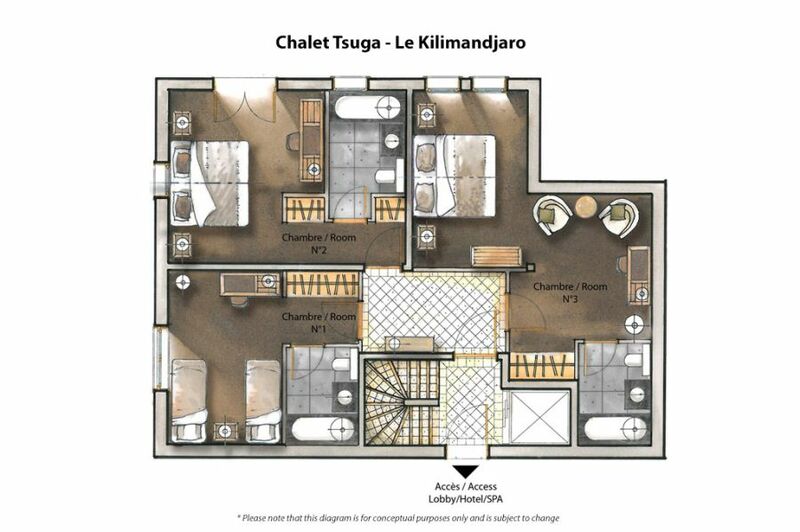 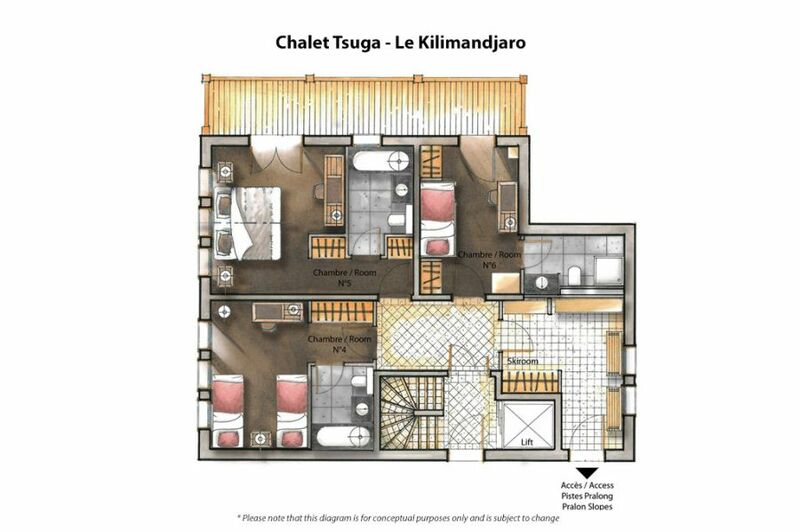 Located within the vast expanse of the beautiful 5-star Kilimanjaro Hotel and Spa, Chalet Tsuga is a gorgeous retreat in the French Alps that opens the door to one of the largest and best ski areas on the planet. 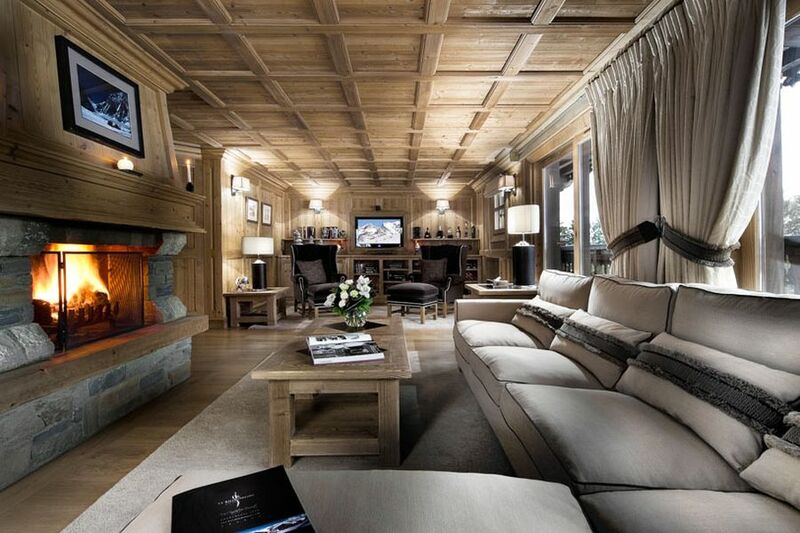 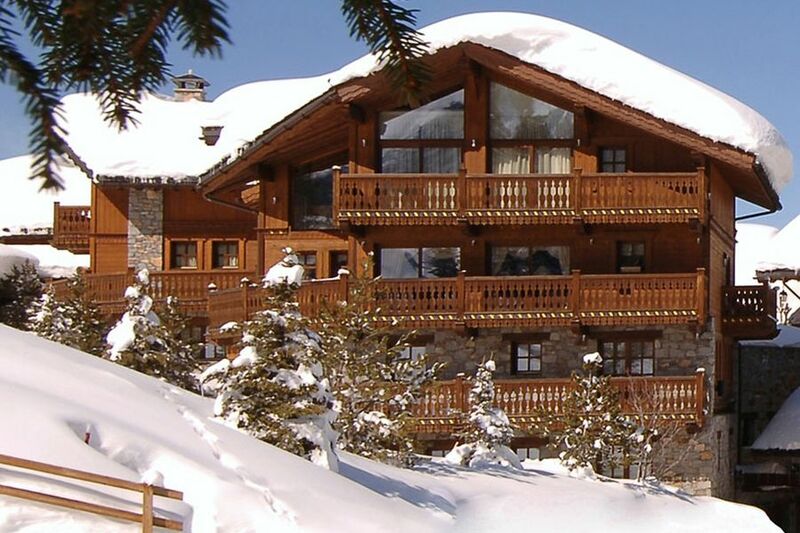 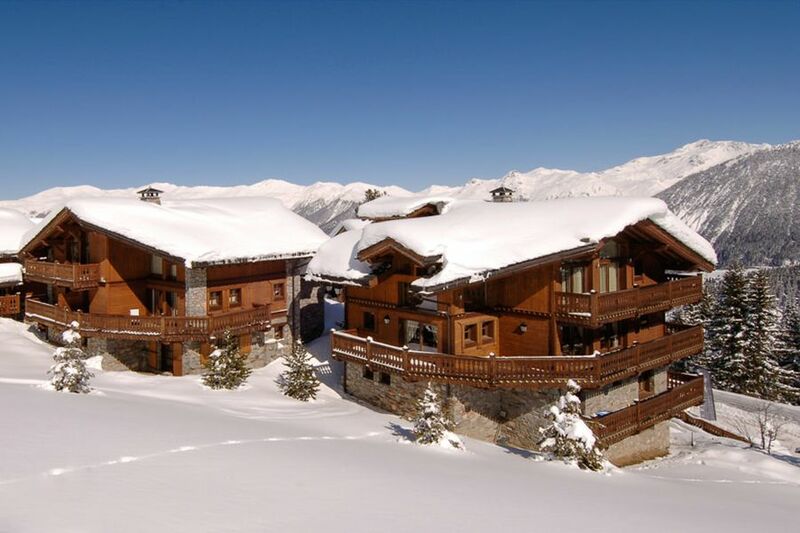 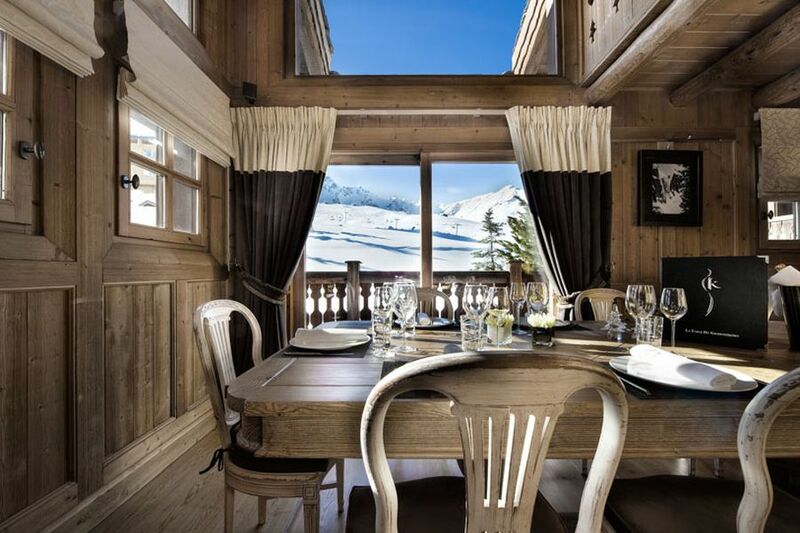 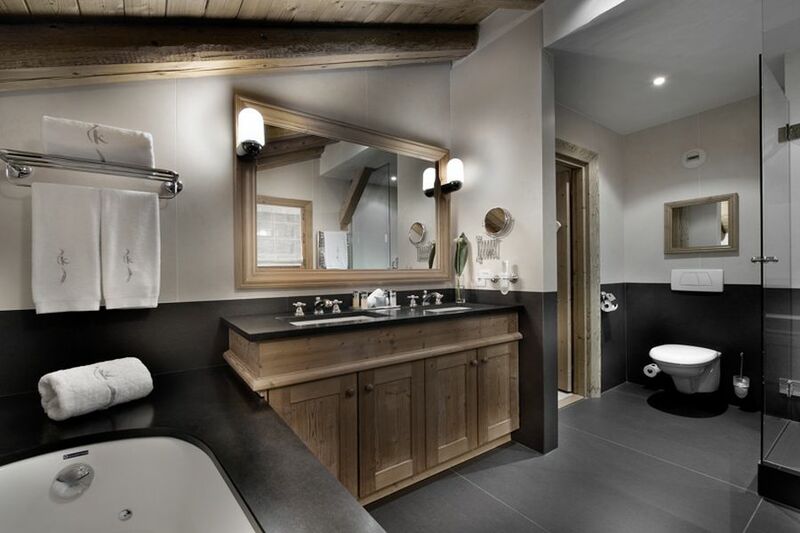 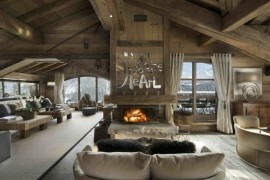 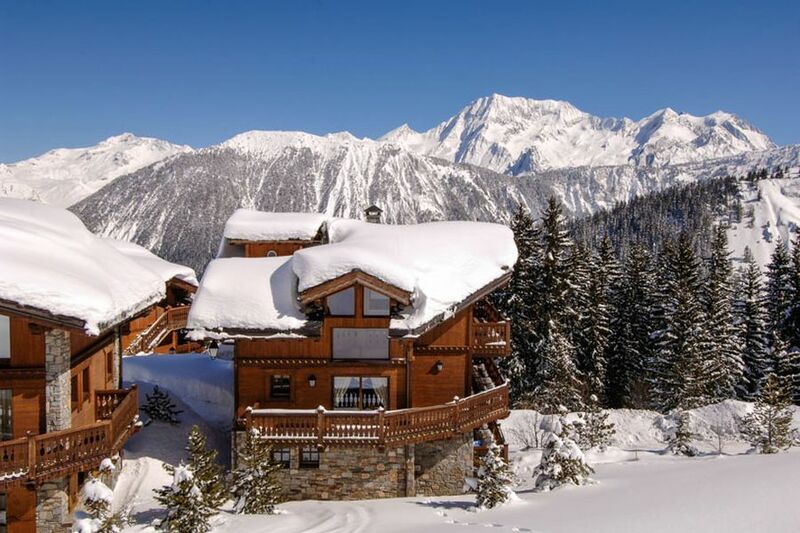 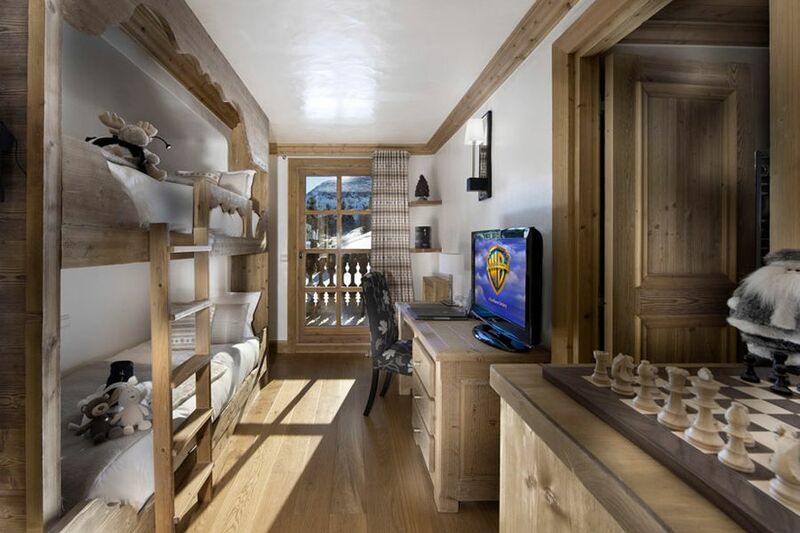 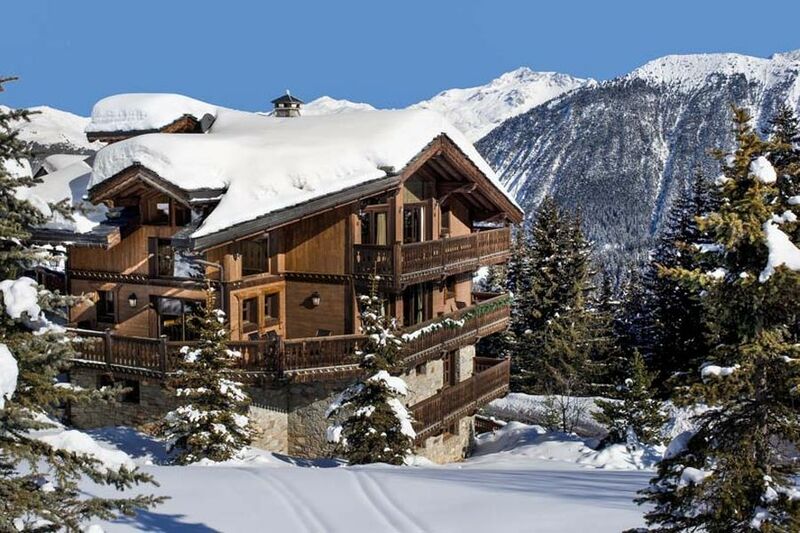 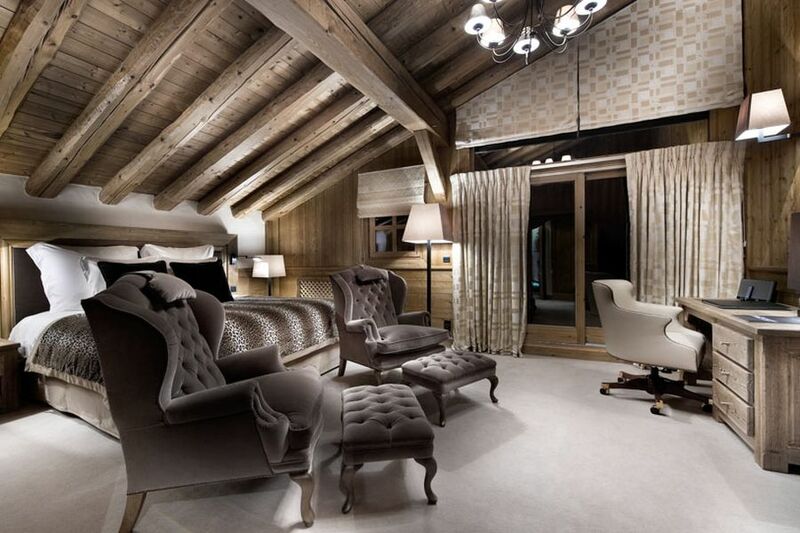 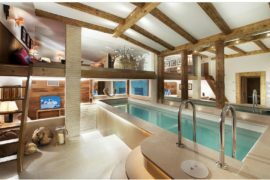 Part of the fabled snow-covered slopes of Courchevel 1850, the lovely little chalet blends traditional Alpine architecture with contemporary luxury and amenities to offer a holiday experience that is truly out of this world! 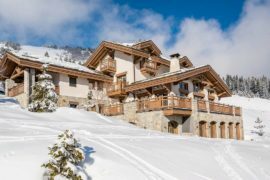 Designed and built by Stanley Fink and Philippe Capezzone, the 7-bedroom chalet is easily capable of hosting 14 guests at once. 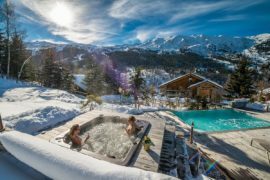 A refreshing indoor pool and spa should revitalize your senses after a long, fun day out on the ski slopes, and the Michelin-Starred restaurant, La Table du Kilimandjaro, serves up tasty delights that you simply cannot refuse! 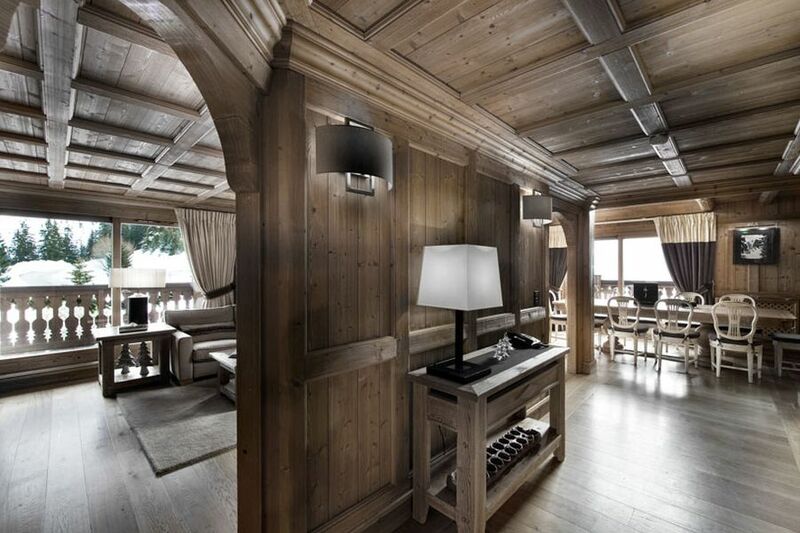 Composed of 4 different levels, Chalet Tsuga offers an amazing window into the splendor of French Alps as it overwhelms you with lavish delights.